Ever noticed how IPL isn’t mentioned without its “title sponsors”? Did you notice the photo-op at the Asian Games? With the influx of various sporting leagues, Sports Sponsorships has evolved, whether it’s crossing $1 billion in India for the first time or growing by 14% in 2017, the dynamics have changed & how! As a sports manager or an entrepreneur, however, what must strike your attention is to be able to not just scout these sponsors for your sporting event but also grab a deal with them. HOW? Well, honestly, you have to go out there and make something happen SMARTLY. You need to have ample support from sponsors, be it in the form of cash or be it in kind, so as to spruce up the event and make some profit. Now in order to step into their shoe & express what is it that can help them you must do your Homework! Do your research ! Dig into the past to understand the past events they have sponsored and in what capacity. This shall give you a fair idea to study who their target audience is. Now use this information to figure out what is the brand identity they are looking for. You need to know what makes your event so special. Focus on the USP of your event & understand how it will be appealing to a sponsor. Now that you know what is it that your event is going to offer, make sure you’re being consistent with the brand of the sponsor as well. For example, if your potential sponsor is Complan- which helps kids grow tall, you need to get them to sponsor your basketball event. Once you’ve figured out your sponsor and your own event USP, find the parallels between them and emphasize it in your proposal. Parallels in target audience, vibe of the event, and any other similarity will work in your favour. Prove it to them how it’s a perfect match too hard to miss. Well, you’re not the only one coming up with a sporting event & ofcourse there’s competition around you. Learn to take it in your stride. Research about others who have done or are planning to host events similar to yours. Look them up and see what worked for them and what worked against them. Look at the sponsors they had for their event and approach the same or their competitors. Infact, you must also know the competition of the sponsor you are approaching. This will help you in pitching & letting the sponsor realise how sponsoring your event will differentiate them from the pack. Being in the business, you may know of athletes. Whether they’re from your locality or someone who is big, invite him/her as a chief guest. This small act shall boost up the event and give your sponsor one more opportunity. Not only that, with the celebrities around, pull crowd becomes easy. Plan this thoroughly & share it in your pitch. It’s always rosey on the paper but what actually counts is how true did it stand while execution. You must give tangible and measurable parameters through which you measure the sponsor’s contribution & even vice-versa , let the sponsors also get an understanding of what’s in it for them. “Oh we gave you banners on the ground.” doesn’t quite cut it. You have to be more specific. Tell them about the audience profile, not just the number of audience. Tell them the demographic your event attracted. Tell them about the spending power of your audience, their age, economic status, and any information which you think will be relevant. Get pictures of their banners, get good shots of the crowd, count the audience at the event, get press clippings, etc. It’s only when it’s quantified that the value will be determined. .
We all like to explore some alternatives, before taking a plunge. Give your sponsor different options. They shouldn’t just be faced with a Yes or No decision. Make it a Yes/No to three or four options. Present various categories of sponsorships at different costs and with different benefits. 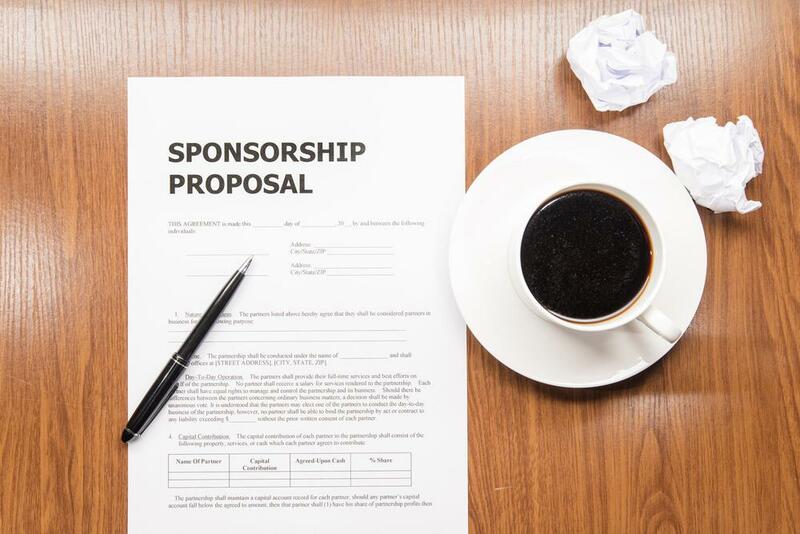 Even if the sponsor doesn’t want to become the title sponsor, they may foot the bill for a lower category and become an associate sponsor or a partner in kind who gives you refreshments/rent free grounds/clothing, etc. Well honestly, no matter how perfect you’re with your ground work, there’s always this special edge to you that can do the magic. These easy tips are just an extension to something you’re already aware of. It helps you improve your odds at scoring a sponsor back home. If you’ve got any suggestions to make or more tips to share, feel free to comment them below.